After finishing up lunch at UGA’s Southeast Research and Education Center, tour participants continued their trek to the land of onions. Wait a minute. This is supposed to be the Peanut Tour. What are we doing visiting an onion area? Well, since Georgia is known for its sweet onion, the Vidalia Onion, it is only fitting to learn a little about Georgia’s famous tear-jerker while in this part of the state. During the tour of Vidalia Valley, tour participants were given a tour of the facility. At this particular facility, onions grown by Stanley Farms, as well as outsourced onions are shipped in, peeled and sent into manufacturing or further processing. 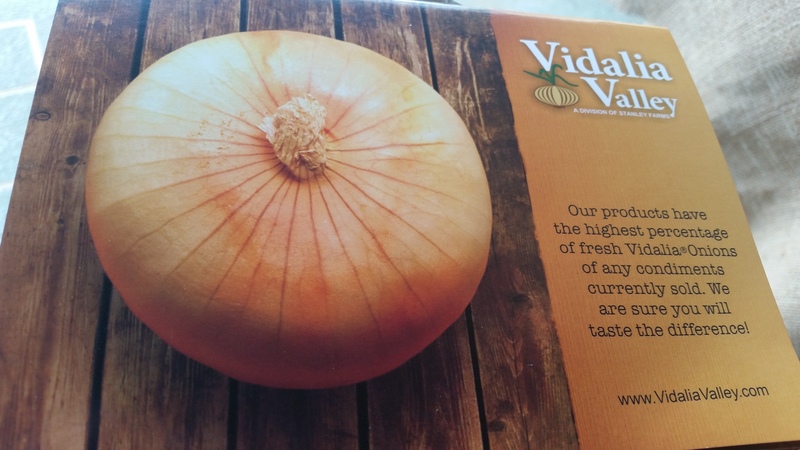 During Vidalia Onion season, which runs from April to August, representatives from Vidalia Valley said they ship out 40,000 pounds a day of whole, peeled onions. Through Vidalia Valley’s processing facility, products such as relishes, salsas, dressings, vinaigrettes, jams, jellies, specialty items, barbeque and hot sauce, as well as organic products are created. Many of the products can be found on Vidalia Valley’s website, vidaliavalley.com, and some are created for other restaurants and retailers. Vidalia Valley even develops peanut related products for consumers, such as a Thai peanut sauce and a peanut butter barbecue sauce for Paula Dean. Click here for one of Paula’s recipes using the peanut butter barbecue sauce!